The Eagles are doing right by Nick Foles once again. ​​The Carson Wentz season ending injury opened the door for Nick Foles to make yet another historic run for the City of Brotherly Love. Unfortunately, Foles narrowly missed a signing bonus of $1 million by just four snaps. He played in 32.69 percent of the team's total snaps in their playoff return when he needed to reach 33 percent in order to get the bonus. After much speculation that insisted they wouldn't, the Philadelphia Eagles were generous enough to package up that signing bonus anyways. What a class act by the Eagles to show their respect and thankfulness for Foles. Unfortunately for ​Foles and his Eagles, they were unable to make another historic miracle run in the 2018 Playoffs after a ​​20-14 loss to the New Orleans Saints in the Divisional Round ended the parade. 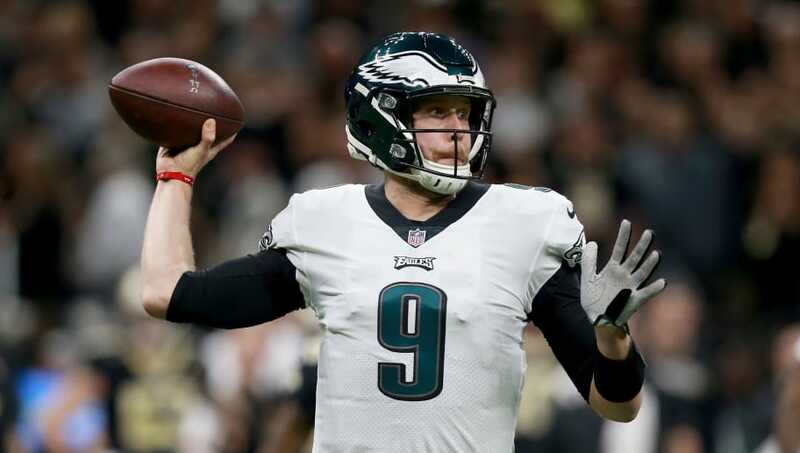 Even without another run to the Super Bowl, Foles still put the Eagles back in the Playoff picture after winning the final three games of the season. They then went on the shock the football world with a win against the Chicago Bears during Wild Card weekend thanks to a blocked last-second field goal attempt. It may not be the magic that the 2017 season had for Foles, but he was undoubtedly one of the primary reasons that the Eagles could reach a playoff berth in a down year. Teams don't usually round up when a player falls just shy of a threshold for a bonus, but Nick Foles isn't a usual case. ​​NFL executives don't usually package up a signing bonus for a player if they don't meet the requirements, but Foles is a special case for the Eagles. That signing bonus could be the last time that the Eagles ever pay Foles, as he's slated to become a ​free agent this offseason after Philly declines his massive option. If he is leaving in free agency, at least he's doing so on good terms only.